Sold individually. These pilar candle holders also make excellent wine coasters. Also used as a wine coaster, this stands roughly 1 5/8" at its highest point, has a top opening diameter of 4 1/2" and a base diameter if approximately 4". Cast of solid brass with a heavy silver plating, which is treated with an anti-tarnish finish to help prevent tarnishing. 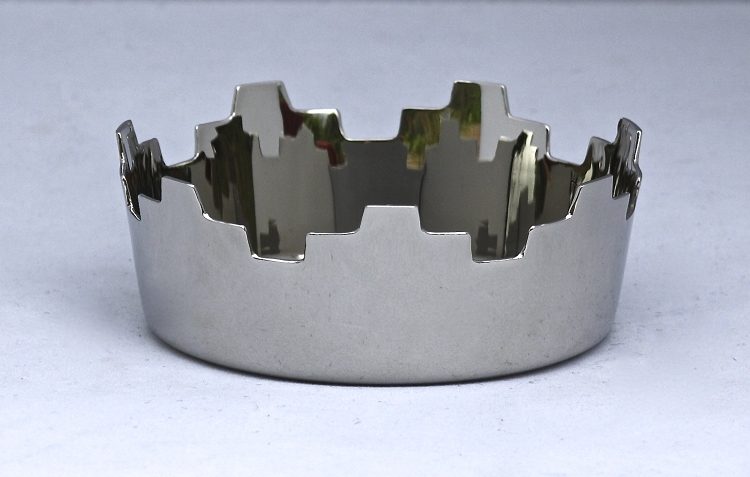 These versatile little holders weigh in at 8 ounces. We suggest keeping several around to hold your wine bottles, pillar candles, or even as a catch-all for your desk. At such a small price, these make great gifts for any occasion! Also available in our pewter finish. 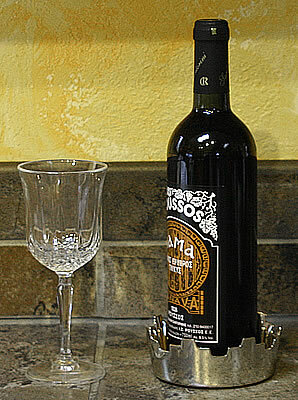 This lovely wine coaster is pictured here in our Silver Finish. Also available in our Pewter finish. Comes elegantly gift boxed.